The importance of homework is clear to any student. Homework is a vital part of the studying process that allows students to better understand what they’ve learned in class and find ways to apply the new knowledge in practice. Student life cannot be imagined without homework, but, with all its obvious benefits, homework is often a source of stress for students. Find out how to make homework less time-consuming and stressful with these 5 steps. The first step of dealing with any amount of homework effectively is becoming organized. Don’t just rely on memory – you need to have a special notebook where you’ll write down the assignment, the due date, and any additional tips given by the professor, such as suggested sources or guides. You can always refer to this notebook whenever you’re having doubts over which assignment to complete now and which can wait until later. 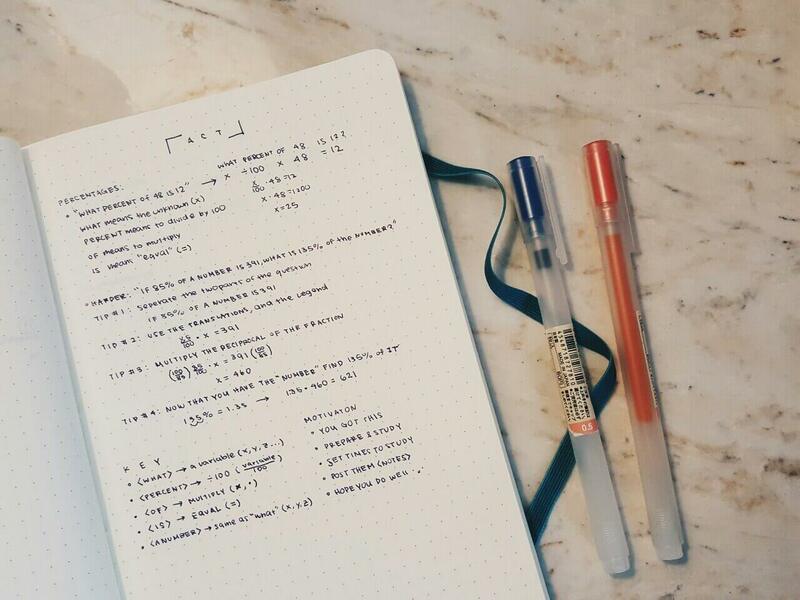 A cheat sheet is also a very helpful tool for doing math homework faster. The content of a cheat sheet differs from student to student, but usually it includes diagrams, tables, and theorems. Always leave space in your cheat sheet – you never know when and what you’ll add to it. Teamwork is a great way to ensure all of your math homework is completed on time and in full. Create a team with one of your classmates who is serious about becoming better at math and discuss every assignment, brainstorming ideas and helping each other perform better. Many students are used to working in messy environments, but the mess on your workplace usually translates into mess in your homework. Start by organizing your backpack and desk: every textbook, notebook, pen, calculator, ruler, and other tools need to have their own place and be easily accessible whenever you need them. Some students prefer to do their homework in alternative places like bed or couch, but it can make you less organized and turn into a bad habit. Your desk is the best place to do homework and study. Make sure your workplace is properly lit: poor lighting puts you in a sleepy mood that doesn’t help your homework. One of the reasons why studying right now is more difficult than it used to be decades ago is all the various distractions that stand between you and an uninterrupted studying process. If you feel the temptation to check your phone every 5 minutes or turn the TV on and off to see if there’s anything good to watch right now, these distractions will surely negatively affect your homework and your grades. If the temptation is too hard to resist, leave the phone in the other room. You can create yourself a rule of using the phone for 5 minutes every hour if you’ve diligently studied for the past 55 minutes with no distractions. The same goes for the TV, laptop, and anything else you can’t ignore when you’re doing homework. Need Help With Your Homework? When getting down to doing your homework, you need to look at the big picture. Go over the assignments to see which ones are connected between one another. The connection will give you a clear idea of how to group the assignments to minimize time for work. Another thing to look for is assignments that are especially hard. You may have been told in the past that you should start with the difficult tasks and leave the easiest one for later. However, the exact opposite strategy works better for homework. After dealing with easy assignments, you will have enough time for the complex assignments that definitely require more work. When the assignments are completed, don’t forget to double-check everything you’ve just written. Checking your work serves two important purposes. First, you make sure that you didn’t miss any mistakes that can negatively affect your grade. Second, you understand the assignment even better and will be able to explain your process and results if a teacher asks you for those details. It’s recommended to take short breaks every hour. We suggest taking a 5-minute break every 30 minutes. Spend those minutes wisely: instead of obsessively checking your social media profiles, do a quick stretch or walk for a couple of minutes. It’s also a good idea to have a refreshing drink or power snack to help you study better. Very few students can do everything on their own – most need at least some form of help. The quickest way to get homework help is to ask your teacher to explain something you don’t fully understand. You can also ask your classmates who are currently going through the same topic. Finally, getting a tutor is a good idea if you’re finding some subject or topic particularly challenging. How to Do Your Math Homework Fast? The tips below will help you handle your school or college math homework without any troubles. Find out how to make homework less time-consuming and stressful with these 5 steps. Leave any of your tasks to our professionals! Submit your instructions and forget about looming deadlines - you will receive your neatly written work just in time. Let our professionals do your tasks! MaxHomework.com © 2013-2019. All Rights Reserved. Wait! Special offer for you! Get your personal promo code and pay less for the next order. Please, enter correct email address. and we will get back to you soon!